June 12, 1929. 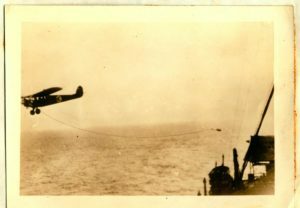 Pilot George Pond hooks the mail bag on his 13th attempt while co-pilot L. V. Rawlings drops a sack of 10,000 pieces of mail for the ship. The plane that was originally scheduled to pick up the mail had crashed the day before and a back up plane was not able to locate the Leviathan due to damage to the plane’s radio from an electrical storm. The pick-up was then rescheduled for the Leviathan’s next transatlantic trip, leaving from New York on June 12. This time the pilot did find the S.S. Leviathan, and after twelve failed attempts to hook the mail bag, finally grabbed the bag and pulled it into the plane. The Adams air mail pick up system would go on to provide air mail service to residents in remote locations in West Virginia and Pennsylvania throughout the 1930s and early 1940s. The Lytle S. Adams Scrapbook was donated to the American Philatelic Research Library (APRL) in 2011 by Andrea Niapas via Kathleen Wunderly. 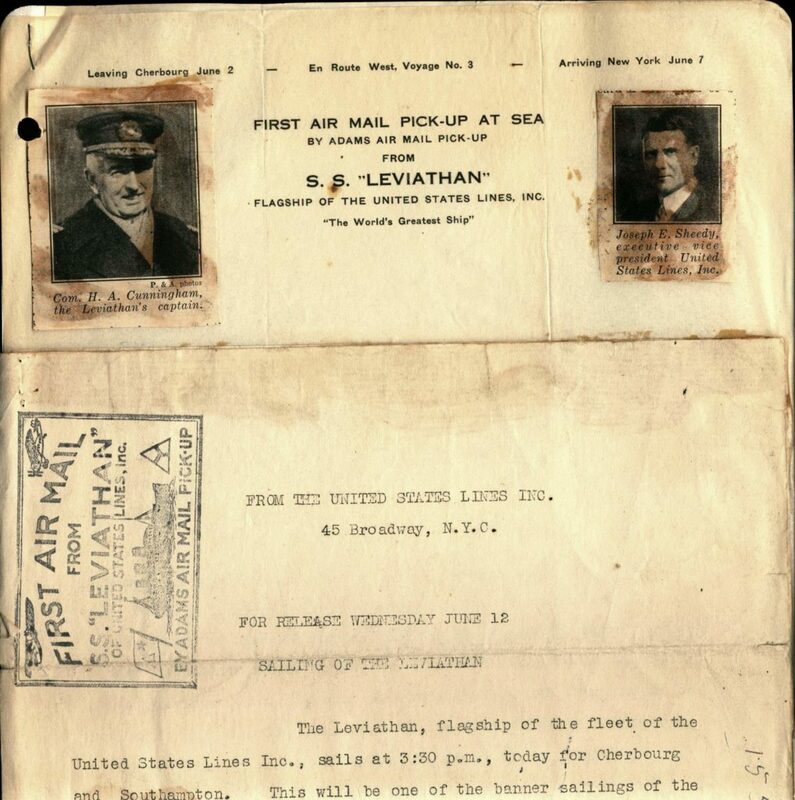 It is a fascinating assortment of newspaper articles, photographs, ephemera and letters detailing the trips that the S.S. Leviathan took across the Atlantic that June. 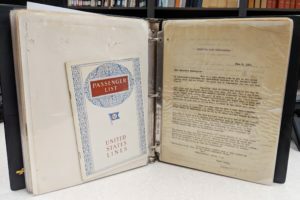 Some additional items include passenger lists and dinner menus from the trip, a notice sent out to passengers about sending mail from the ship, and a report predicting how quickly mail could be expected to arrive at its destination with this new ship-to-shore service. Scrapbooks are notoriously difficult items to preserve. There is often value in keeping the items exactly as they are donated to us, since handwritten notes or newspaper articles might accompany related photographs. Yet often these newspaper articles or notes are on deteriorating paper, or they are barely held in place by tape or glue that has left an unsightly yellow-brown mark and has long since lost its stickiness. The archivist must then use their best judgment to decide how to best maintain the essence of the scrapbook while also preserving the materials themselves. 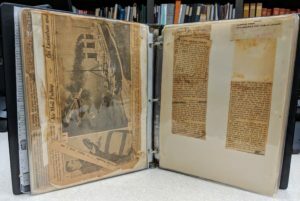 You can assist us in preserving our archival materials such as this scrapbook by donating to the APRL’s Preservation and Book Restoration Fund. Contact the APRL at library@stamps.org if interested in researching further this unique scrapbook in the APRL Archives. Wunderly, Kathleen. 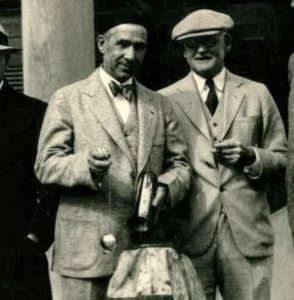 “The Adams airmail pick-up device: By hook, line and Stinson.” Scott Stamp Monthly, May 2006.